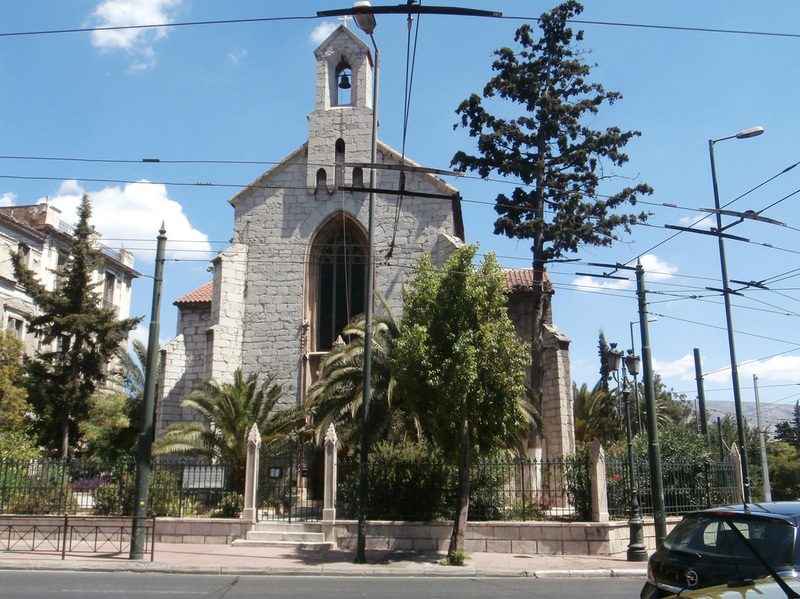 Established in 1843, St. Paul's Anglican Church is located at the junction of Philellinon Street with Amalias Avenue in downtown Athens. This simple English neo-Gothic style Anglican church was built in the early 1840s of marble from Mt. Hymettus and limestone brought in from the Corinth Canal. 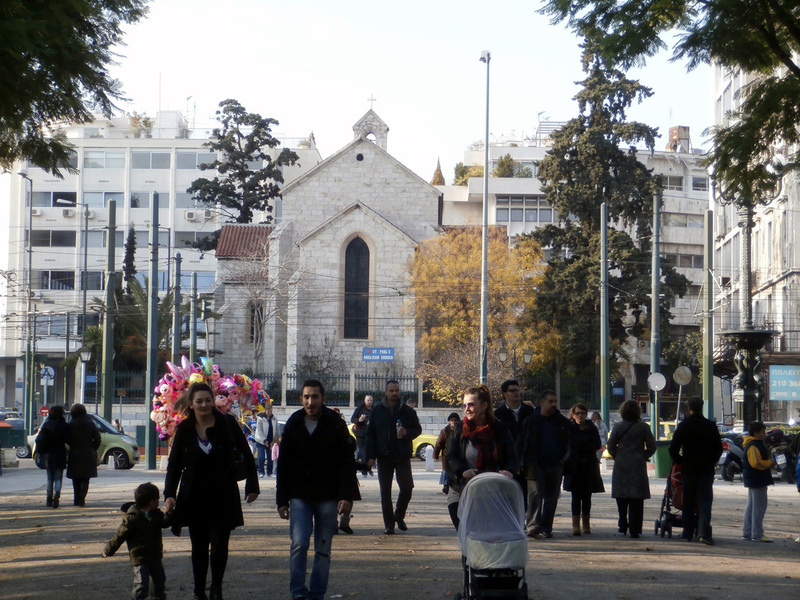 View of the Anglican Church of Athens from Amalias Avenue.